Can you see yourself doing some last minute shopping or trying on a new outfit via your TV? One in four shoppers will be making regular purchases from interactive television sets by the year 2014, according to a new study. Smart TVs, sometimes also called “Connected TVs” or Hybrid TVs,” are internet-connected television sets that combine all the entertainment value of your regular television set and all the technology and ease-of-use of your touchscreen computer. Daily deal shopping first became familiar to us from our desktop computers. We surfed from daily deal website to daily deal website from our desks, most likely using a hardwired mouse. Next came mobile technology. From laptops to smartphones, the introduction of portable devices brought with it the ability to do almost anything from anywhere on the planet. I could just as easily check my email and confirm plane reservations from my laptop in a coffee shop as I could surf around a daily deal aggregator from my iPhone while waiting in line at the grocery store. What’s next? 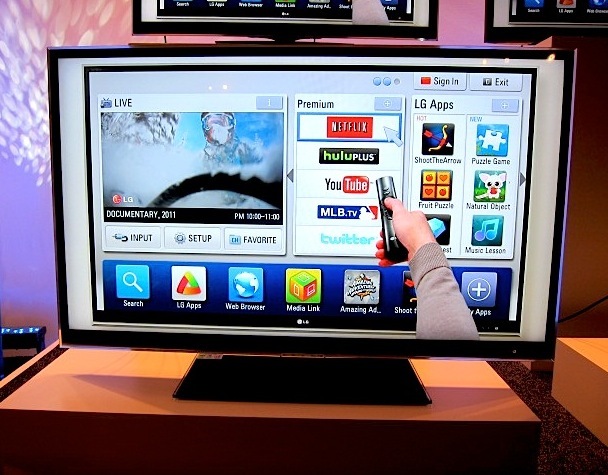 · ✔One in four UK consumers will be making regular purchases on “smart” TVs by 2014. ·✔ eCommerce has become the norm and shoppers quickly adapt to new technology. ·✔ There are a growing number of smart TV devices joining the market. ·✔ Augmented Reality apps and services, products that bridge the gap between real and virtual worlds, will help consumers try on clothes virtually, sample a daily deal vacation, and more. "We are entering a period of transformation in the retail sector," says Angus McCarey, UK retail director for eBay. "Consumers are driving this as they demand more choice, more interactivity, specialist knowledge and price transparency." To learn more about Smart TV and get a handle on its possibilities for the future, check out this video.